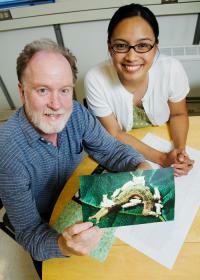 U. of I. entomology professor James Whitfield and doctoral student Josephine Rodriguez led the taxonomic part of a multi-disciplinary study of microgastrine wasps. A tiny wasp that lays its eggs under the skin of unwitting caterpillars belongs to one of the most diverse groups of insects on Earth. Now researchers report that its diversity is even higher than previously thought. 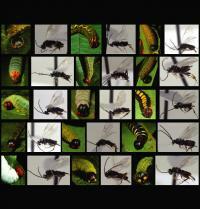 Some microgastrine wasps and their caterpillar hosts. Page took 0.022722 seconds to load.